“Inclusive Capitalism and Sustainability.” Invited presentation at the Endogenous Growth, Participatory Economics, and Inclusive Capitalism conference at St. Bennet’s Hall, Oxford University, February 9, 2019. “Inclusive Capitalism and Sustainability.” Seminar with Prof. Robert Ashford at Syracuse University’s Faraday House in London, February 7, 2019. “The Need For a Beloved Economy.” Presentation at the Booker T. Washington High School, Houston, Texas, as part of the symposium entitled “Lifting the Veil of Ignorance, Reversing the Jail Trail, and Jump Starting Viable Economic Futures for All,” December 13, 2018. “Technology, Globalization, and Sustainable Development: Transforming the Industrial State.” Sustainability Curriculum Consortium (SCC) Webinar, December 5, 2018. “From a Beloved Community to a Beloved Economy.” Presentation with Dr. Virgil Wood and Dr. Owen at a Leadership and Social Change Residential College (LSCRC) Intersection, November 28, 2018. “2018 Essay Contest Awards Ceremony and Humanities Summit.” Co-organizer and co-host of the VT-VUU Beloved Community Initiative (BCI) 2018 BCI Essay Contest Awards Ceremony and Humanities Summit, Virginia Tech, November 27, 2018. “Ethical Economies: Framing the Challenges and Pathways Forward.” Presentation at the Advancing the Human Condition Symposium, Virginia Tech, November 28, 2018. “Living Legacies of the Too Soon Gone.” Presentation with Dr. Virgil Wood at a Leadership and Social Change Residential College (LSCRC) Intersection, October 11, 2018. “Strategic Policy Design for Sustainable Transformations.” The 2018 First North South Conference on Degrowth-Descrecimiento, Mexico City, September 5, 2018. “Strategic Policy Design for Sustainable Transformations.” Seminar at ITAM, Mexico City, September 4, 2018. “Technology, Globalization, and Sustainable Development.” Public discussion of new co-authored book at Teatro Del Pueblo during the official program of the Degrowth-Descrecimiento week in Mexico city, September 4, 2018. “Technology, Globalization, and Sustainable Development: Transforming the Industrial State.” Presentation of my co-authored textbook (with Prof. Nicholas Ashford) at the 2018 Sustainability Curriculum Consortium (SCC) conference in Pittsburgh, June 25, 2018. “Rethinking Employment in a Future of Intelligent Machines.” Presentation at the Human Futures and Intelligent Machines Summit, held by the Center for Humanities at Virginia Tech, Blacksburg, June 7-9, 2018. “The Role of Dr. King, Jr.’s Ethics & Kelso’s Economics in Creating a Workable Society.” Presentation with Dr. Virgil Wood and Prof. Harvey Cox (Hollis Professor of Divinity, Emeritus, Harvard University) at Virginia Tech, May 9, 2018. “Does Martin Luther King, Jr. have a living legacy, and if so, where is economic justice?” Dr. Virgil A. Wood (Co-founder, Jubilee National Collaborative) and Dr. Howard H. Stevenson (Professor Emeritus, Harvard Business School), Recording of webinar held on March 23, 2018. “GPS for Total Success” by Dr. Owen Cardwell (Founding Pastor, New Canaan International Church, Richmond) and “Empowering People in Communities” by Dr. Ryan Hulbert (Founder, EPIC – Empowering People in Communities). Recording of Webinar held on March 26, 2018. “Learning for Ownership.” Dr. Margaret Ford Fisher (President, Houston Online Community College). Recording of Webinar held on March 27, 2018. “Resilience for Youth.” Christian Moore (Founder, WhyTry). Recording of Webinar held on March 27, 2018. “Income Inequality in the US.” Dr. Robin C. Sickles (Professor, Rice University). Webinar held on March 28, 2018. “Pathway to Binary Economics” by Dr. Ralph P. Hall (Associate Professor, Virginia Tech) and “Inclusive Capitalism: The Ownership-Broadening Road to Shared-Prosperity and Sustainable Growth” by Dr. Robert Ashford (Distinguished Professor, Syracuse University). Recording of Webinar held on March 28, 2018. “Beloved Community/Beloved Economy.” Dr. Virgil A. Wood and Dr. Gregory Bailey (Founder, Greg T. Bailey & Associates). Recording of Webinar held on April 2, 2018. “Equity, Justice, and Advancing the Human Condition: The Urgency of Our Time.” Dr. Sylvester Johnson (Professor and Director of the Center for the Humanities, Virginia Tech). Recording of Webinar held on April 2, 2018. “Economic and Social Justice for All in the Age of the Robot.” Dr. Norman Kurland (President, Center for Economic and Social Justice) and Dr. Virgil A. Wood. Recording of Webinar held on April 2, 2018. “The 2018 Beloved Community Initiative Essay Contest – Thanks to the Youth of Virginia.” Dr. Virgil A. Wood, Dr. Sylvester Johnson, and Dr. Corey Walker (Vice President, Dean and Professor of Religion and Society, Virginia Union University). Recording of Webinar held on April 4, 2018. “The Cornerstone Project: A New Workforce Learning Environment and Shared Investment Model.” Dr. James Jones (Professor, Virginia Tech). Recording of Webinar held on April 5, 2018. “Reversing the Jail Trail, Jumpstarting Viable Economies.” Rev. Willie D. Francois III (Senior Pastor, Mount Zion Baptist Church) and Dr. Marlon Smith (Founder and CEO, Black Greeks Speak Social Justice and Human Rights Council). Recording of Webinar held on April 5, 2018. St. Anne’s College, Oxford University, March 8, 2018. Oxford Quaker Meeting House, March 8, 2018. Portcullis House, UK Parliament, March 13, 2018. Syracuse University London, March 14, 2018. University of Southampton, March 15, 2018. “CAUS Dean’s Discussion: Innovation Ecologies – Changing Universities.” Panel discussion with Dean Richard Blythe, Enric Ruiz-Geli, and Marcelo Stamm, Virginia Tech, December 7, 2017. “The Beloved Community ‘Dream Reset’ Richmond Gathering.” Three days of events in Richmond focused on the VT-VUU Beloved Community Initiative, December 3-5, 2017. “The Story Behind the Beloved Community Initiative.” Presentation at the Advancing the Human Condition Symposium, Virginia Tech, November 30, 2017. “The Indian perspective of smart cities.” Paper presented by Khushboo Gupta at the 2017 Smart City Symposium Prague (SCSP). 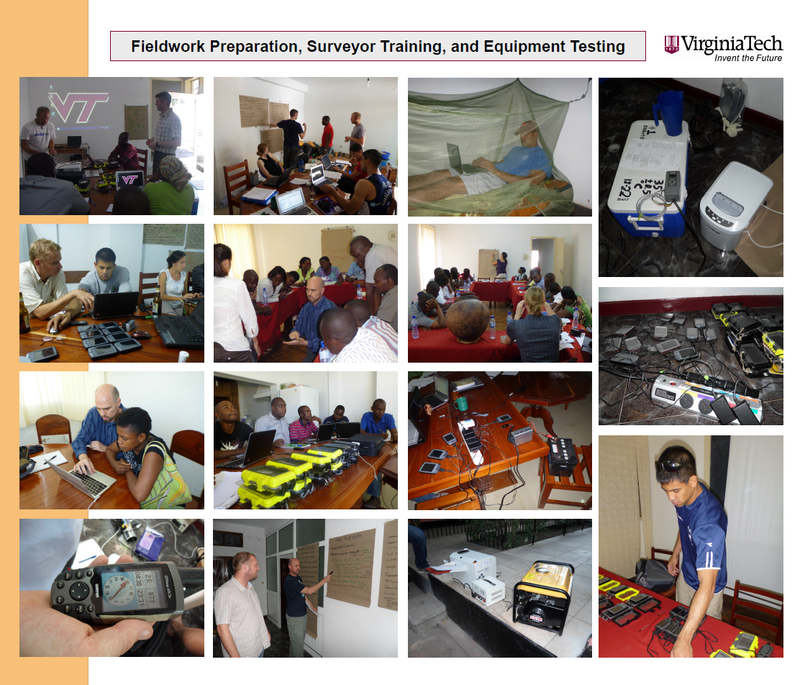 “TEAM Malawi (Technology-Education-Advocacy-Medicine): A Multidisciplinary Global Health Experience.” Poster presented at the Virginia Tech Carilion School of Medicine’s Bringing Global Health Home event, April 5 and 12, 2017. Poster prepared by Muelenaer, P., Kelly, P., Hall, R.P., Kochersberger, K., Muelenaer, A., Powell, J., Talbot, P., and Taylor, A. “The Future of Work and Income in an Era of Economic Inequality.” Panel discussion with Dr. Virgil Wood, Prof. Joyce Rothschild, and Dr. Christian Matheis, SPIA Ridenour Faculty Fellowship Conference, Virginia Tech, March 24, 2017. “Designing the Impact Evaluation of the MCC Rural Water Program in Nampula, Mozambique.” Public seminar at Mzuzu University, Malawi, July 26, 2016. “Advancing a Binary Economics Research Agenda.” Presentation at the Society of Socio-Economists summer meeting, Oxford University, July 5, 2016. “Measuring Smart Cities in India.” Poster presentation by Khushboo Gupta at the 2016 Smart Cities Summit, June 13-15, 2016, Austin, Texas. “Data Anonymization: Lessons from a Millennium Challenge Corporation Impact Evaluation.” Presentation with Eric Vance during Virginia Tech’s 2016 Open Data Week, March 29, 2016. “Visualizing Water Services for Decision Making: The Creation of a Highly Interdisciplinary and International Research Endeavor.” Presentation with Sophie Wenzel at the 2016 CAUS Faculty Research Symposium, February 26, 2016. “Providing Video Feedback on Assignments” Presentation at the 2016 Conference on Higher Education Pedagogy, Virginia Tech, Blacksburg, February 10, 2016. “(Some of) the Data’s Out There, Now What?” Panel discussion with Dr. Eric Vance at the Millennium Challenge Corporation “Open Data: Big Impact” event, February 3, 2016. “Sustainable Transportation Research Needs.” Research Needs Presentation at the 2016 TRB Annual Meeting, Washington, D.C., January 12, 2016. “Domestic + Productive Water Use.” BOBTalk, Virginia Tech, November 30, 2015. “Interdisciplinary Exploratory Research: Visualizing Water Services to Improve Decision Making.” Virginia Tech, Public Health Grand Rounds Seminar, October 22, 2015. “The Sharing Economy.” Webcast. Conversation with Guy Michaels, Lynn Wu, and Wade Roush on the sharing economy. MIT Faculty Forum Online, Alumni Edition, September 22, 2015. “Review of the Water Accounting Tool.” Presentation with Sophie Wenzel and Nicholas Polys at the USAID WA-WASH Water Accounting Tool Workshop, Koudougou, Burkina Faso, July 6-7, 2015. “Developing Countries: Challenges on the Path to Sustainability.” Presentation at Transportation Research Board’s International Conference on Transportation for Sustainability, Washington, D.C., May 8, 2015. “Connecting and Integrating Strategies for an Economic Transformation.” Presentation at Society of Socio-Economists Annual Meeting in Washington, D.C., January 6, 2015. “Conceptualizing Resilience to Guide Research on Critical and Sustainable Infrastructure Systems.” Presentation at Virginia Tech’s School of Public and International Affairs (SPIA) conference on Resilience, October 24, 2014. 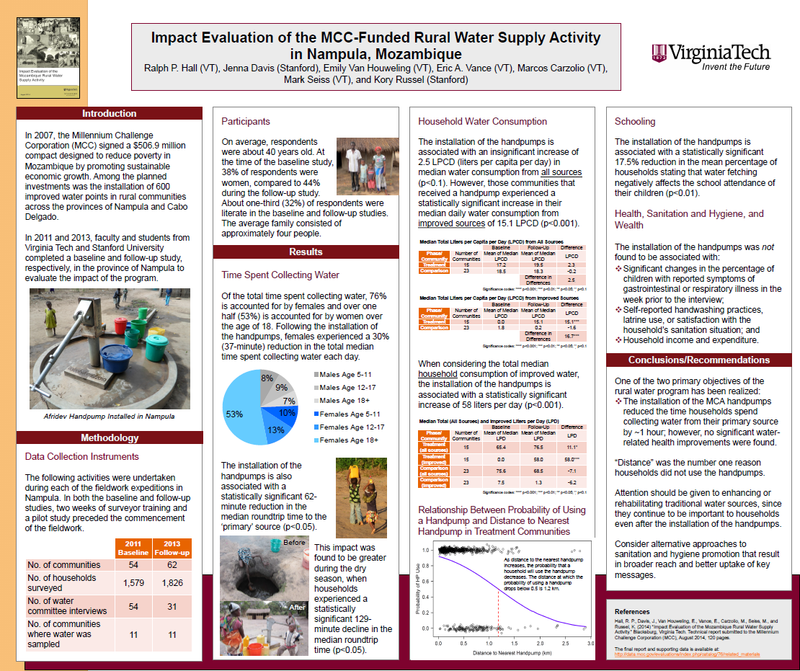 “Impact Evaluation of the MCC-Funded Rural Water Supply Program in Nampula, Mozambique.” Presentation at the Making Impact Evaluation Matter conference in Manila, September 1-5, 2014. “WASH Impact Evaluation Design Clinic.” Workshop at the Making Impact Evaluation Matter conference in Manila, September 3, 2014. “Teaching Sustainable Development/Transportation in Institutions of Higher Education.” Presentation at the Sustainable and Resilient Infrastructure Workshop, New York, June 18, 2014. “Development through the Lens of the MCC.” Panel Discussant at the Development and Humanitarianism Mini Conference, Virginia Tech, April 11, 2014. “Impact Evaluation of the MCC-Funded Rural Water Supply Activity (RWSA) in Nampula, Mozambique.” Webinar with Dr. Eric Vance for the Millennium Challenge Corporation, March 27, 2014. 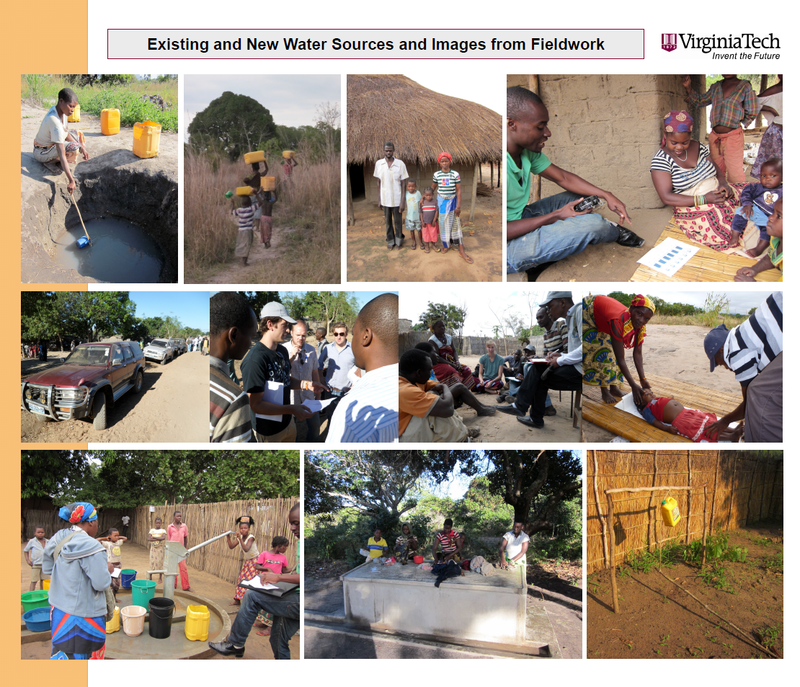 “Impact Evaluation of the MCC’s Rural Water Supply Project in Mozambique: Enhancing local partner capacity through collaboration.” Presentation with Dr. Eric Vance at the Dean’s Forum on Global Engagement, Virginia Tech, March 27, 2014. “Virginia Tech International Graduate Certificates.” Poster presentation by Courtney Kimmel, Ralph Hall, Rosemary Blieszner, and Betty Watts at the Dean’s Forum on Global Engagement, Virginia Tech, March 27, 2014. “Impact Evaluation of the MCC‐Funded Rural Water Supply Activity (RWSA) in Nampula, Mozambique.” Presentation with Dr. Eric Vance, Dr. Emily Van Houweling, and Prof. Jennifer Davis at the 2014 Monitoring and Evaluation (M&E) and Economic Analysis (EA) College, Millennium Challenge Corporation, February 7, 2014. “Social Network Analysis of TRB Standing Committees.” Presentation with Dr. Tom Sanchez at the Annual Meeting of the Transportation Research Board, January 12-16, 2014, in Washington, D.C.
“A Collaborative Process for High Quality Impact Evaluations in Developing Countries.” Presentation with Dr. Eric Vance at the 2013 American Evaluation Association (AEA) conference in Washington, D.C., October 19, 2013. “Creating an International Partnership for Sustainable [and Resilient] Infrastructure Development.” Presentation at the 4th Conference on Community Resilience in Davos, Switzerland, August 29, 2013. Panelist for a discussion on Participation at the 2013 Ridenour Faculty Fellowship Conference, School of Public and International Affairs, VT. Presentation on the extent to which rural households use domestic piped water for productive activities. The U.S. Water Partnership Multiple Use Services Workshop, U.S. Department of State, Washington, D.C., March 22, 2013. “Analysis of TRB’s Research Needs Statements (RNS) Database for Records Related to Sustainability.” Presentation to the TRB Transportation and Sustainability Committee (ADD40) at the TRB Annual Meeting, January 16, 2013. “Exploring the Link Between the Productive Use of Rural Piped Water and System Performance: Evidence from Senegal and Kenya.” Presentation at the Rural Water Supply Network (RWSN) working group on Management and Support for Rural Water Supplies, The Hague, The Netherlands, October 2, 2012. “MUS in Colombia, Senegal, and Kenya.” Presentation at the Multiple-Use Water Services (MUS) workshop at Rockefeller’s Bellagio Conference Center, Italy (September 3-7, 2012). “The Productive Use of Rural Domestic Water in Senegal and Kenya and Its Relationship to System Sustainability.” Presentation at the 2012 Stockholm World Water Week, Stockholm, August 30, 2012. “A Perspective on the Human Right to Water & Sanitation.” Presentation at the AAAS Science and Human Rights Coalition Meeting, Washington, D.C., July 17, 2012. “Summary Presentation of the Ridenour Faculty Fellowship Conference on Distressed Cities.” Presentation at the 2012 Ridenour Faculty Fellowship Conference, School of Public and International Affairs, Virginia Tech, April 14, 2012. “Productive Use of Domestic Rural Water Systems: The Senegal Case.” Presentation to the Multiple Use Water Services Group, Washington, D.C., January 19, 2012. “Productive Use of Domestic Rural Water Systems: The Kenya Case.” Presentation to the Multiple Use Water Services Group, Washington, D.C., January 19, 2012. “Results from the Baseline Study of the MCC-Funded Rural Water Supply Activity in Nampula.” Research team presentation to the Department of Policy and Evaluation, Millennium Challenge Corporation, Washington, D.C., December 15, 2011. “Assessing the link between productive use of domestic water, poverty reduction, and sustainability.” Presentation with Eric Vance at the CAUS Faculty Research Symposium, Virginia Tech, February 18, 2011. “Evaluating the vulnerability of coastal communities and their potable groundwater systems in Mozambique to human and natural impacts.” Presentation at the CAUS Faculty Research Symposium, Virginia Tech, February 18, 2011. “Assessing the Benefits of Productive Water Use on Women’s Lives: A Conceptual Framework developed from Focus Groups in Senegal.” Presentation with Emily Van Houweling at the Annual Meeting of the Association of American Geographers, Washington, D.C., April 20, 2010.